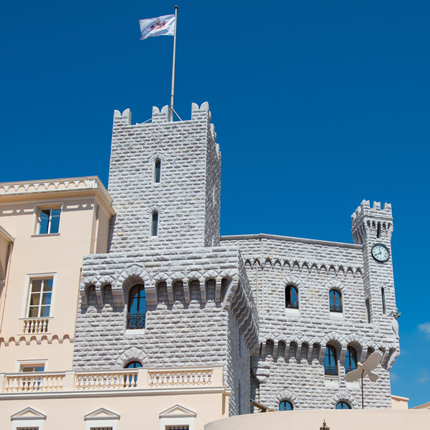 From ancient Greek times to the end of the Roman era, the rocky promontory and natural harbor of Monaco had been mentioned in the literature of the time because of their strategic location. 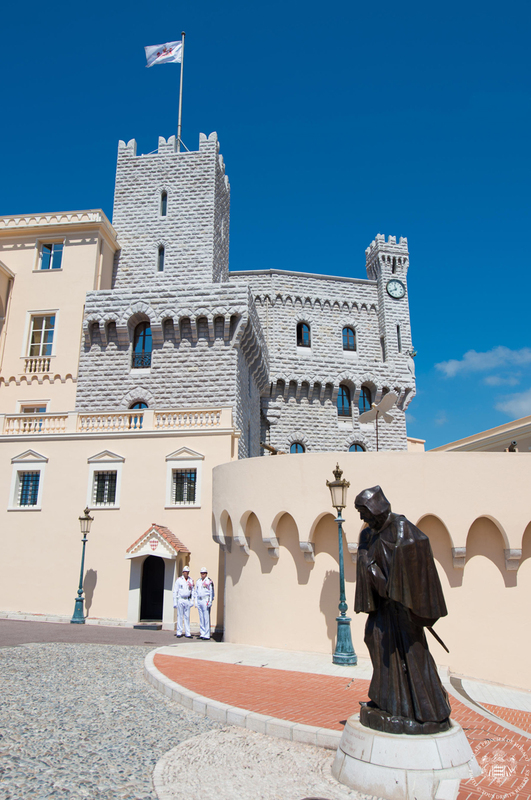 However, Monaco itself mentioned in history when the Genoese established it in the 12th century and German Emperor Frederick I recognized the area from Porto Venere to the republic of Genoa along the Ligurian coast, which included Monaco, in 1162. 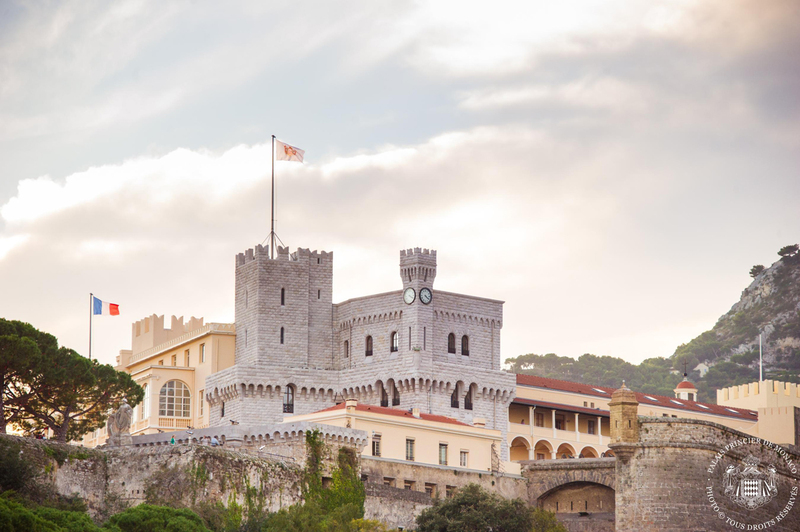 The palace began as a fortress when in 1191 the German Emperor Henry IV ceded the harbor and the rocky promontory to the Republic of Genoa on the condition that they build fortifications to combat piracy. Additional property was acquired from the Council of Peille and the monks at the Abbaye de Saint Pons and construction actually only began in June 1215 when Fulco de Castello, one of Genoa's most enterprising consuls, anchored his fleet of ships loaded with building supplies in the harbor. By then they were ready to trace the outlines of a rampart of thirty-seven sections and four buttressed towers connected with 8-meter to form a triangular boundary. Later a higher wall was erected and a second fortress was added on the port side entrance, none of which remains today. Genoa played an important role in Europe of the 12th century and the Grimaldis were one of the aristocratic families of Genoa. The Genoese were traders throughout the Mid-East and the Orient and bankers who provided foreign sovereigns with funds, ships and armed soldiers. When the Holy Roman Emperor Frederick II of Hohenstaufen challenged the authority of Pope Innocent IV, the Genoese divided into two parties: The Guelphs sided with the pope and the Ghibellines with the German Emperor. The Grimaldis belonged to the Guelps who were the defenders of the Pope. Conflicts between the two groups continued into the late 13th, when the Ghibellines won, they ousted the Guelphs—and the Grimaldis—from Genoa. 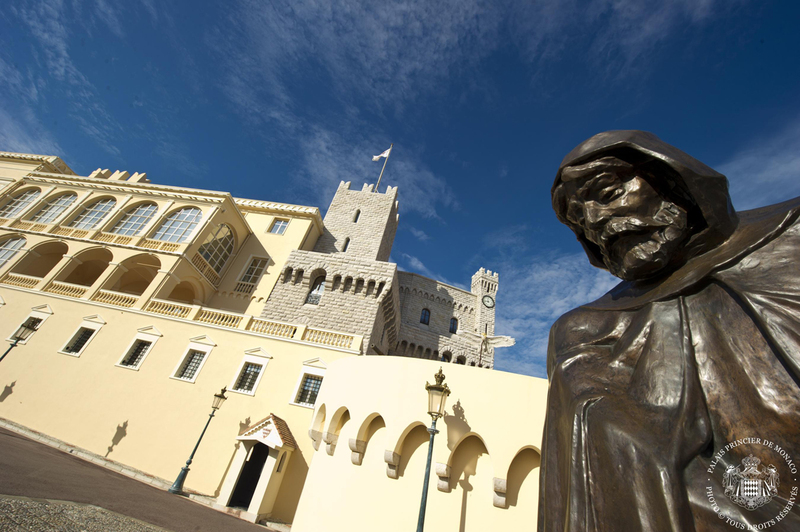 On the evening of January 8, 1297 Francois Grimaldi, nicknamed Malizia, disguised himself as a monk and asked for shelter for the night at the fortress in Monaco. The unwitting guard let him in and was killed and Francois, and with his men captured the fortress for the Grimaldis. The seizure of the fortress enabled Rainier Grimaldi to wage war on Genoa with France, who made him a French Admiral. 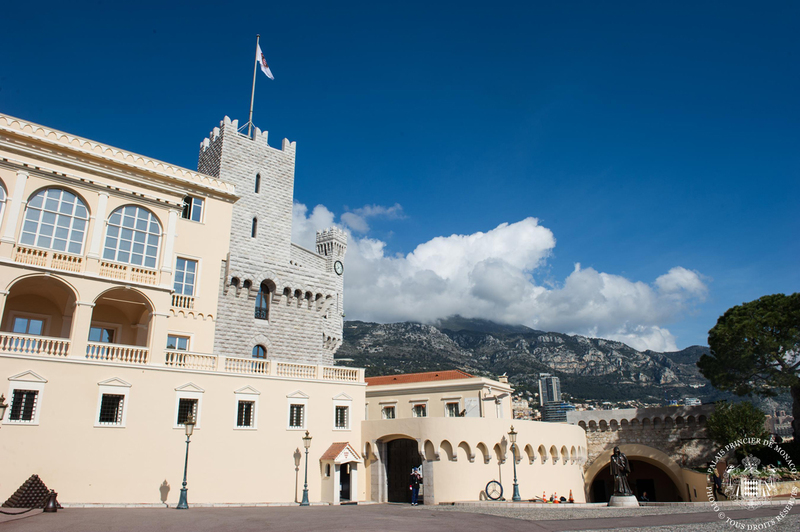 However, it was Charles I, the son of Rainier, who is considered the first lord of Monaco in 1341. 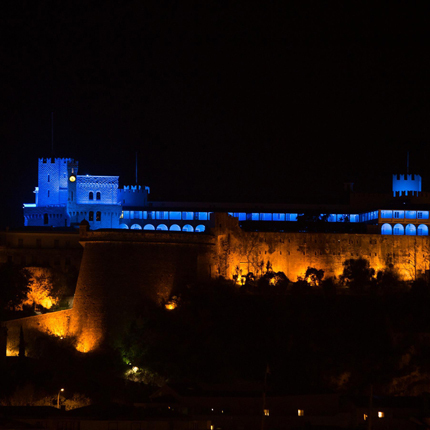 For 30 years the fortress was lost and won back several times. The Grimaldis acquired Menton in 1346 and Roquebrune in 1355 and Charles I installed a loyal garrison and strengthened the existing fortifications by expanding the ramparts and building a breakwater to protect the entrance to the port. 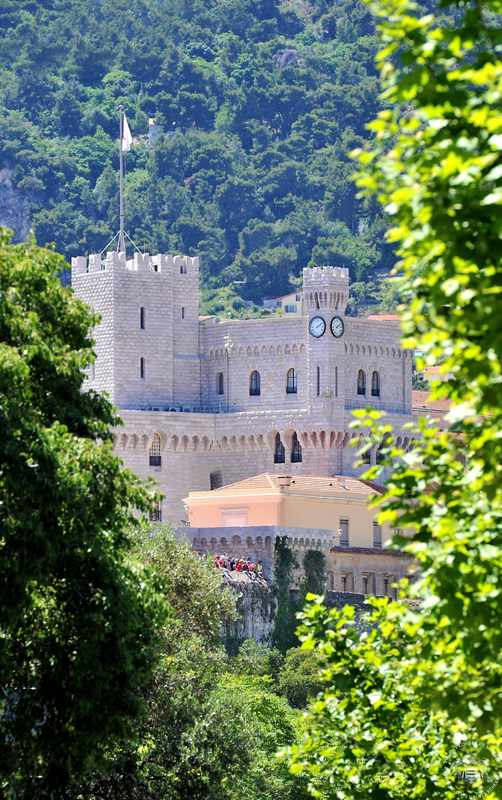 In the 15th century, Lambert continued to protect Monaco by building defenses around the 'rock' and installing a 400-man garrison. 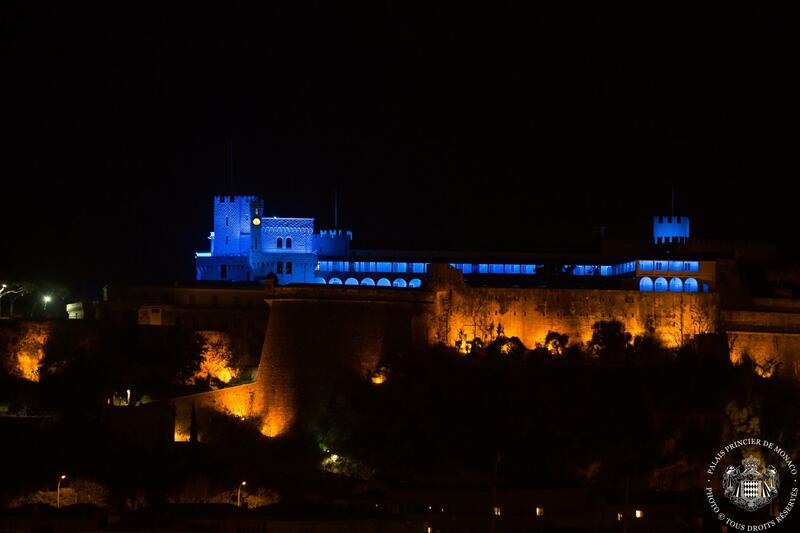 All this time, improvements were made to the fortress and it was slowly being transformed. 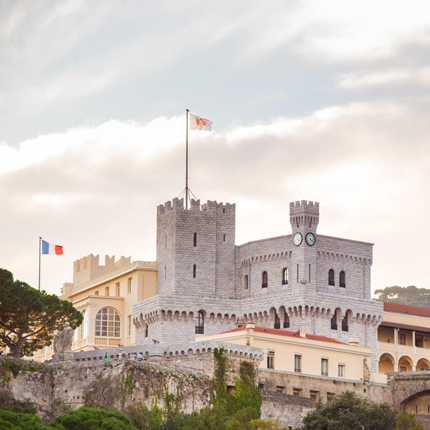 The main three-story building, protected by high scalloped walls connecting the towers of Saint Marie, Milieu, and Midi was located on the east side where the Palace stands today. Between the first two towers and the front of the ramparts Lambert built a two-story building, whose rooms opened onto a balcony. The Grimaldis have always fought to keep their land and sovereignty. In order to do so they have waged wars against Genoa, Pisa, Venice, Naples, France, Spain, Germany, England and the Earls of Provence. The cost of the sieges and fighting took a heavy toll on the fortifications, which were badly damaged during 1505 and 1507. 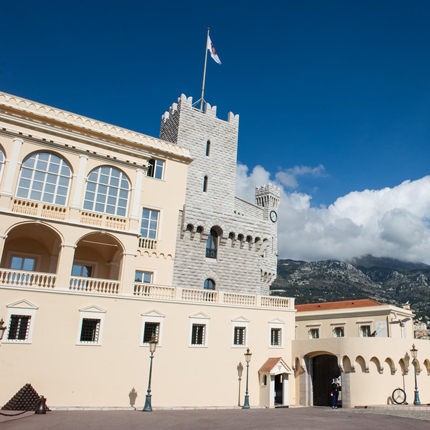 The lords of Monaco also forged many diplomatic alliances in particular with their neighbor France. Finally in 1480 Lucien Grimaldi persuaded King Charles of France and the Duke of Savoy to recognize the independence of Monaco's. 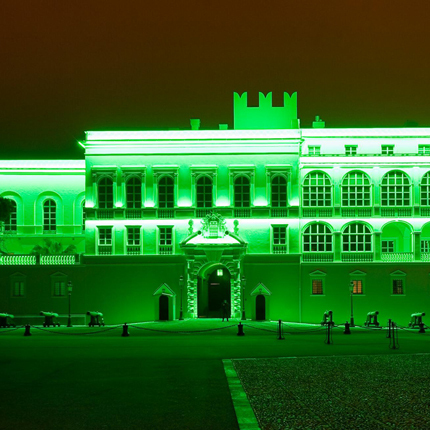 As a consequence, by the reign of Honore I (1522 –1581) the old fortress structures were transformed into the Palace, as we know it today. In the courtyard, architect Dominique Gallo designed a portico with two double-decked galleries, each with twelve arches, with white marble balustrades on the upper gallery, which is known as the Gallerie d'Hercule. A new wing was constructed on one side of the courtyard and Genoese painter Lucas Cambiaso was commissioned to paint frescoes on the walls. Because defense could not be overlooked, a new tower was built reinforced with additional towers and a cistern under the courtyard was enlarged hold to 3963 gallons (15,000 cubic meters) of water to sustain 1000 soldiers for a 648-day siege. The interior of the cistern, which is 16 feet (5 meters) deep by 66 feet (20 meters) long and 262 feet (80 wide), resembles a church with a vaulted ceiling resting on nine massive pillars. In 1633, the Spanish King permanently recognized the title of "Prince of Monaco" to replace the "Lord of Monaco", making Honore II the first Prince of Monaco. Prince Honore grew up in Milan and was influenced by the intellectual salons of Paris. Like his ancestors, he had a love of the arts and became a great collector of tapestries, silver, furniture and paintings. His collection of 700 pictures included works by Raphael, Durer, Titian, Michaelangelo, Rubens and other noted local artists. 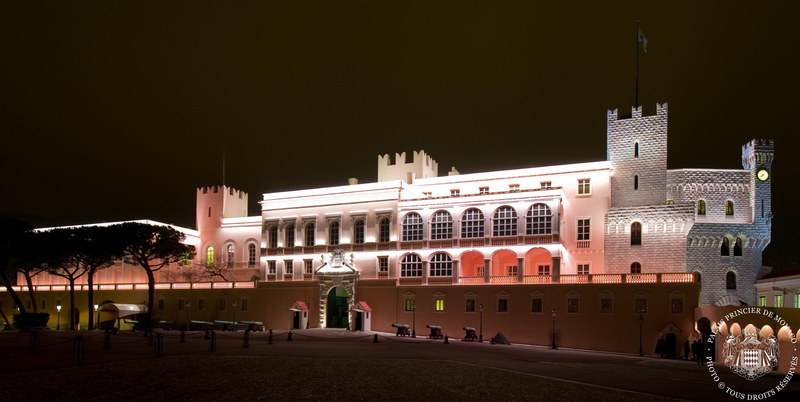 He hired Jacques Catone an architect of the time, to make spectacular improvements to the palace. 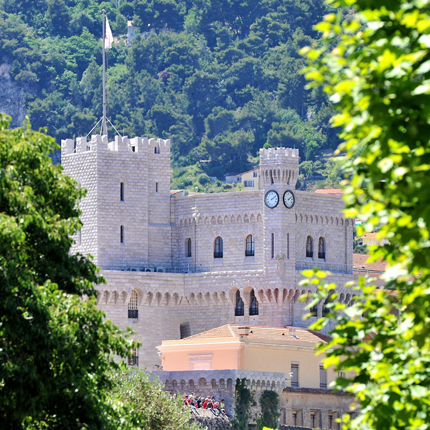 He masked the Genoese towers by adding on the wing facing the square. In the main courtyard, he extended the state apartments, which also concealed the Serravalle Tower behind the building erected on either side of the new Saint Jean Baptiste chapel. He then added the grand royal entrance leading into the courtyard. 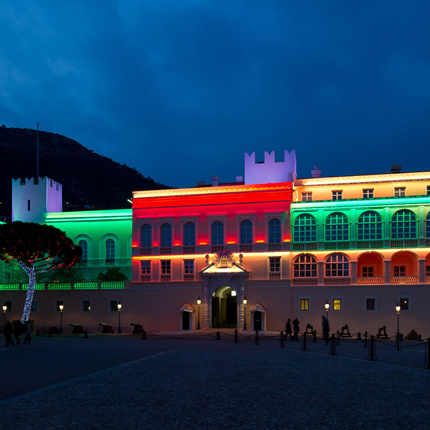 These improvements took 30 years to complete, but they made the Palace of Monaco one of the most remarkable royal residences of the 17th century. Unfortunately the French Revolution significantly impacted the Palace and the Grimaldi reign. In January 1793 the National Convention ordered all occupied lands be governed by independent administrations based on those of France. This ordinance applied to the Principality. 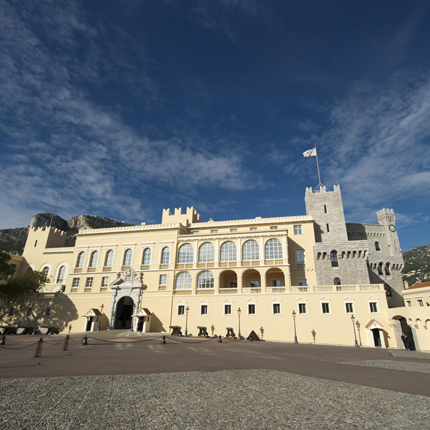 Thereafter the Palace was occupied and looted by the citizens of Monaco, Roquebrune and Menton. 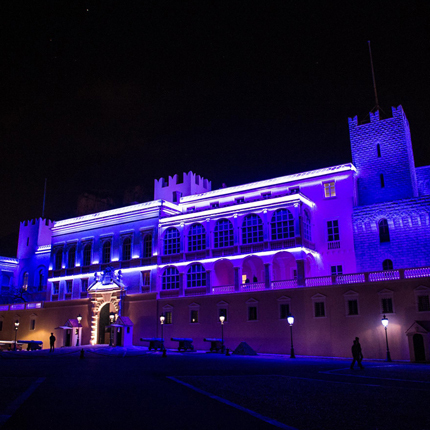 Monaco was downgraded to a mere cantonal seat and the name changed to Fort d'Hercule. The objects of Grimaldi wealth were sold at auction. 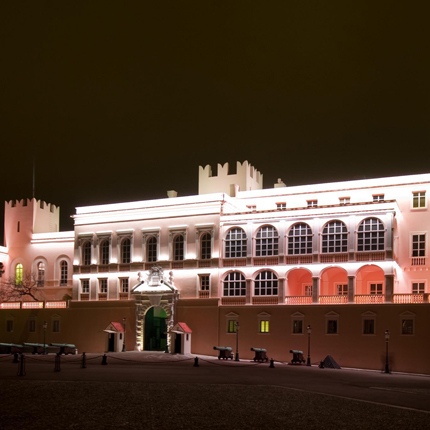 The State Apartments were turned into a military hospital for the Italian army, the throne room was used as a kitchen and the rest of the Palace designated a Poorhouse. 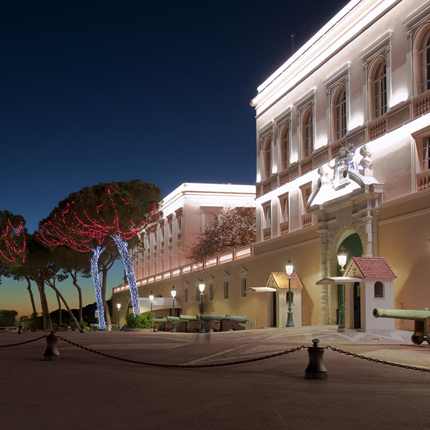 In May of 1814 Monaco was returned to the Grimaldi family and initially placed under the continued protection of France. 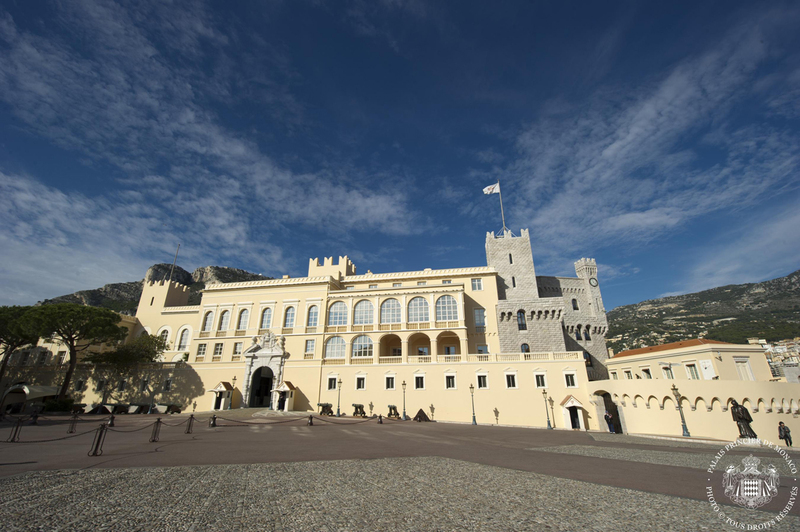 By this time, however, the Palace was in such a terrible condition that the part of the east wing on the Fontvieille side had to be demolished as well as the Pavillon des Bains. Standing now in this spot is the Napoleon Museum and Palace Archives. 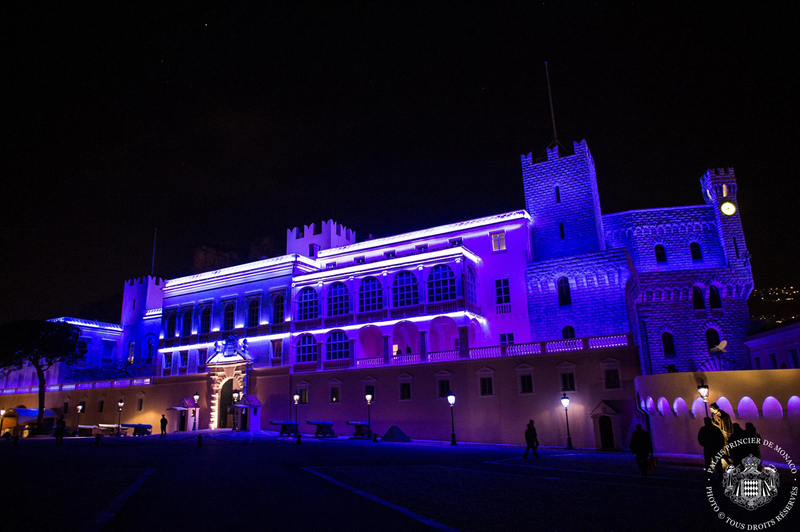 It is Prince Rainier III, who is credited with restoring the greatest part of the lost glory of the Palace to its present splendid state. The Sovereign Prince appears in the Gallery when receiving Monegasques at official events or for the presentation of a future prince or princess. 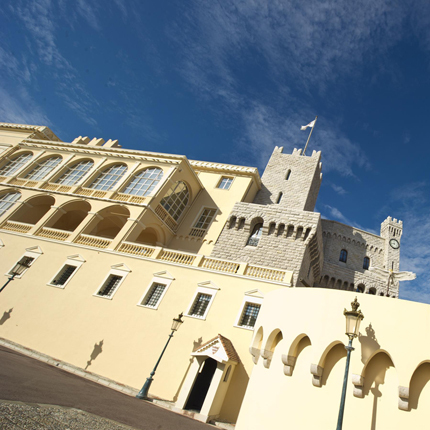 But during official receptions and at the Christmas party for Monegasque children, the Prince welcomes his guests in the State Apartments. These rooms are inlaid in marble with mosaic designs including the double R monogram of Prince Rainier III. The Florentine and Boulle furniture is from the reign of Francois I. The walls are draped in silk brocade and damask and hung with royal portraits executed by well-known artists. These portraits also document the prestigious marriages made with royal families such as Savoie-Lorraine, Matignon, Aumont-Mazarin. These all attest to the devotion to art that is constantly being renewed.